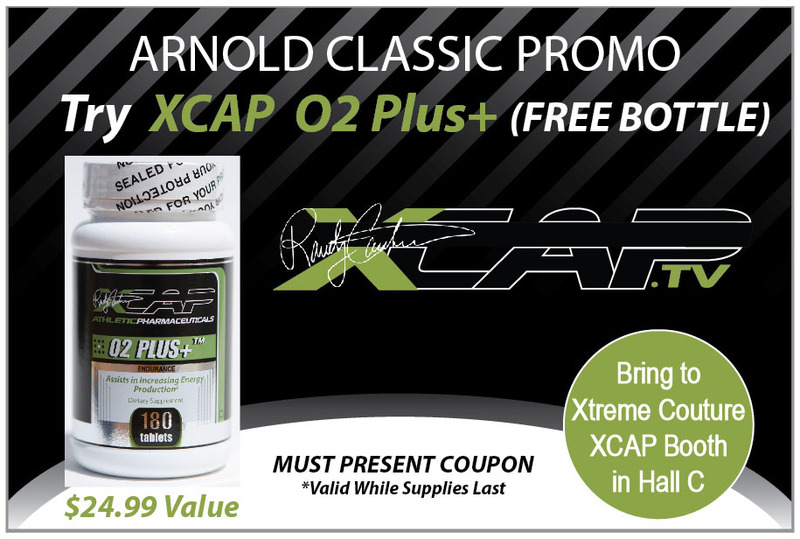 If you are going to be in Columbus in a few weeks for the Arnold Classic Sports Festival 2012 print out this Coupon and bring it to the Xtreme Couture / XCAP booth in Hall C for a Free full bottle of O2 Plus+. We are giving away cases of this product (O2 Plus+) each Day on March 2nd, 3rd and the 4th! Randy Couture will be in the booth signing on Saturday March 2nd from 2:30pm – 4:30pm and again on Sunday from 10am – 11:30am! For more promotions like these follow us on facebook.